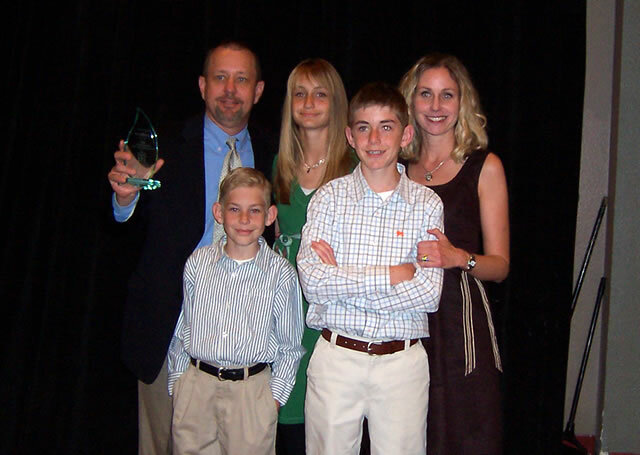 Mr. Paul DeWeerdt, Assistant Principal for Curriculum & Instruction, received the Administrator/Supervisor of the Year Award by AzSCA last Friday. He was recognized at the Annual AzSCA Conference in Mesa, AZ. Congratulations to him and his family! Steven Reff, a Pueblo teacher of Free Enterprise and Economics, is a finalist for the Five Star Faculty Award, sponsored by the Honors College of the University of Arizona. The award honors excellence in undergraduate teaching at the university and is the only award determined entirely by students. The final selection process will include classroom observations, student evaluations and a half-hour interview. There was no deadline given as to when the winner will be announced. Congratulations to Mr. Reff and we will keep you posted. Virgil Henderson, Harold Coleman, Martha Miranda and Saúl Ostroff participated in MLK Day activities with 18 Pueblo students. 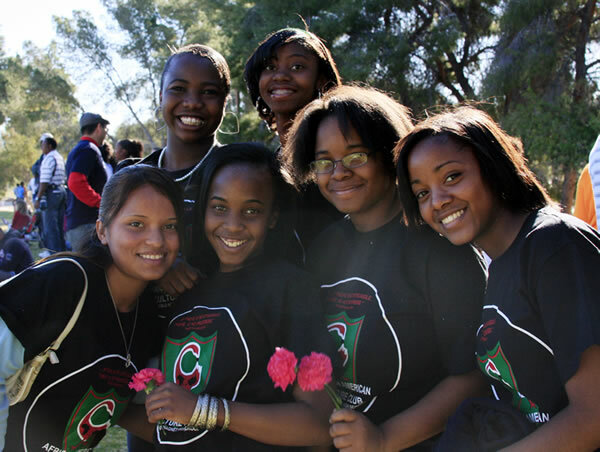 United under the direction of the African American Culture Club we marched from the University of Arizona to Reid Park. Once at the park we were entertained, inspired, and educated on the non violent model of change that MLK modelled. From Reid Park we returned to Pueblo for a Service Project. This year we remembered Lorraine Lee (1957 – 2007), Pueblo Graduate (1974), who spent her life following Dr. King’s lessons. Ms. Lee advocated for the young, the old, and those who needed housing, medical and basic services. Ms. Lee encourages us to work for change and we are a better Tucson for her work. 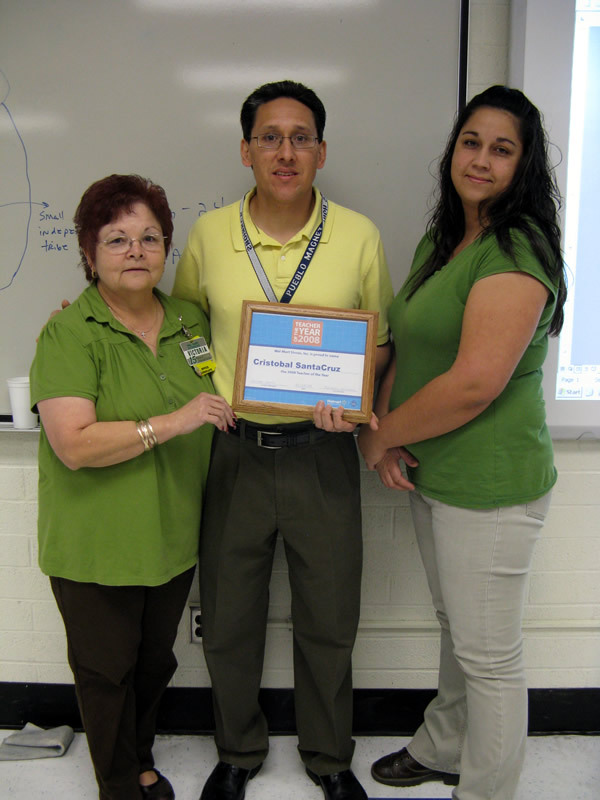 Walmart Stores Inc. made a surprise visit to recognize Cristobal Santa Cruz as Teacher of the Year for 2008 in Tucson. 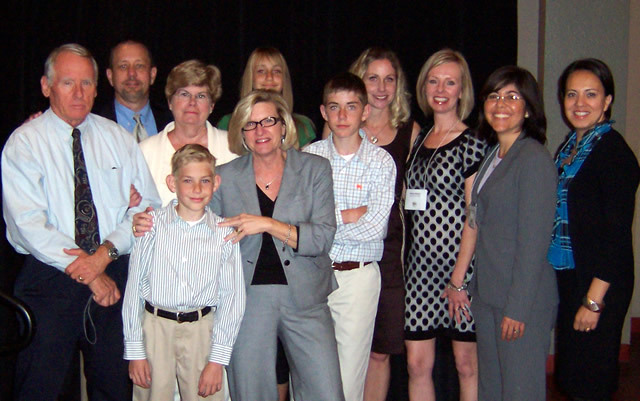 In the company of his family, colleagues, administration and third period class Chris accepted the award proudly. The school received $1000 in his name that will be used to pay for A.P. Exams this year. Cris also received a $100 gift card. ¡Felicidades Cris! Send your congratulations to Cris by leaving a comment. Ixora Dance took on the Faculty at a Dance Off during the Winter Assembly. This video will be talked about for years to come. Who do you think won the contest? Judge for yourself and leave a comment.